Whether you’re a long time smoker or you just picked up the habit, do your heart a favour and say goodbye to tobacco. As far as your ticker’s concerned, it’s never too late to quit. Your body starts to heal as soon as you smoke your last cigarette. There are many reasons your heart will thank you for not lighting up. 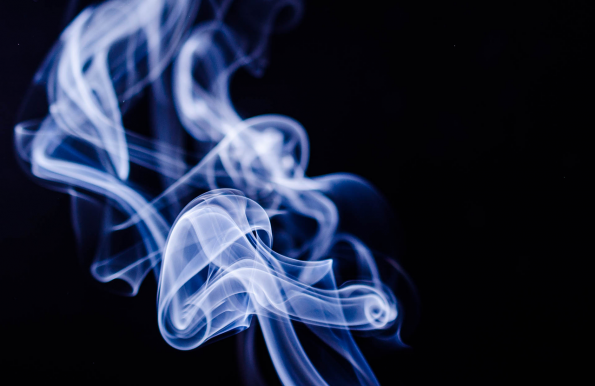 Every time you inhale cigarette smoke, your heart rate and blood pressure go up temporarily. That puts extra stress on your ticker and forces it to work harder. Quit smoking now and you’ll see fast results. Just 20 minutes after you stop, your blood pressure and heart rate go down. In 2 to 3 weeks, your blood flow starts to get better. Your odds of heart disease will go down, too. After a year without cigarettes, you’re half as likely to get it as you were when you smoked. After 5 years, it’s about the same as someone who never lit up. How Smoking Hurts Your Heart: The chemicals in cigarettes harm your heart in many ways. There’s carbon monoxide, a poisonous gas that enters your lungs and then your bloodstream. It steals oxygen from your red blood cells, so less of it gets to your organs and tissues. It also makes your artery walls hard and stiff, which can put you on the path to a heart attack. Don’t forget nicotine, an addictive chemical in both tobacco and e-cigarettes. It makes your blood vessels narrow. It jacks up your blood pressure and heart rate, too. Your heart has to pump harder and faster than normal. Smoking also causes chemical changes in your body. Cells in your bloodstream called platelets clump together when they react with toxic cigarette ingredients. This makes your blood thicker and stickier. It becomes harder for your heart to push it through your blood vessels. Your cholesterol levels get out of whack, too. Cigarette smoke raises levels of LDL, or “bad” cholesterol, and a blood fat called triglycerides. Those cause waxy plaque to build up in your arteries. At the same time, it lowers HDL, or “good” cholesterol — the kind that prevents plaque from forming. When your blood pressure is high, like it is while you’re smoking, arteries get stretched and scarred. Their lining gets damaged, which lets plaque grow and combine with sticky blood cells. All of this raises your risk of blood clots, which can block blood flow to your heart or other organs. That can cause heart attacks or strokes. Smoking damages your lungs and makes it harder to breathe, too. That can keep you from exercising as much as you should. You need to get about 150 minutes of physical activity each week to keep it fit and strong. Luckily, most of the damage tobacco does to you is reversible. When you quit, your risk of blood clots gets lower. Your “bad” cholesterol will go down and your “good” cholesterol will go up. That’ll help slow the buildup of new plaque deposits. Within 2 weeks, you may notice it’s easier to exercise without feeling short of breath. Over the next few months, you’ll be able to breathe deeply again. Your hacking cough should disappear, too. Don’t worry if you put on a few pounds at first. Many people swap food for smoking when they first quit. After a little while, you and your body will get used to a smoke-free life. When you get more exercise and improve your diet, you’ll get your weight under control. If you have heart disease, it’s not too late to make a difference. If you give up cigarettes after a heart attack, you can cut your risk of having a second one in half. Quitting after you’ve had bypass surgery can keep your arteries healthy and help prevent further clogs and disease. When you quit, you’ll also protect your friends and family from the health risks of second hand smoke. Talk to your doctor to get suggestions on how to end your tobacco habit. He can also put you in touch with programs that offer tips and support.